• enjoying more outdoor fun! Today on the blog, SobeSavvy.com, I am sharing some Summer Beauty Essentials that will help you stay fresh, dry, protect you from harsh sun and make those bugs fly on by! Since they are all under $15, you can save money and have more to spend on summertime fun! I am by no means a natural blonde, but I do have a fun wig that I rock sometimes in the summer. You can get the ultimate beach waves with Beach Blonde Sea Waves Sea Salt Spray. Infused with an ocean-fresh coconut fragrance, this sea-salt spray provides subtle volume and fullness for an effortless, matte-textured style. Suitable for all hair types and shades, including color-treated hair. Shake well before use and mist product thoroughly into towel dried or dry hair, combing through to distribute. Yesterday, my family hit the hiking trails but not without applying Avon Skin-So-Soft Bug Guard! I definitely won’t leave home without this. Don’t let bugs get in the way of your summer fun. Protect your family when mosquitoes are most active with this fast-drying, dependable insect repellent. The non-greasy, DEET-free formulas provide long-lasting protection against deer ticks (that may transmit Lyme disease) and mosquitoes (that may transmit West Nile Virus). Available as Aerosol Spray, Pump Spray and travel-friendly Towelettes. Available at www.avon.com. I love using Nubian Heritage’s line of skincare and bath products. They use organic, fair trade shea butter as well as other natutal ingredients. Their deodorants are available in seven of the brand’s best-selling all-natural fragrances, as a healthier alternative to feeling fresh and smelling great! Available at The Vitamin Shoppe and online at vitamineshoppe.com. Good things really do come in small packages! The Mini G conveniently fits in your handbag, gym bag or travel bag. Use it with your favorite dry shampoo to refresh tired locks. It’s the perfect little brush to distribute your leave-in products before heading out into the sun. Great for detangling after a swim, the Mini G also helps remove sand debris from the scalp and hair. Finishing your day at the beach using the Mini G will reduce frizz and help create the perfect ponytail. Available at HotheadsHairbrush.com. The secret ingredient in Ola Tropical Apothecary’s Deep Sea Body Mist is…the water. Found at 3000’ below the ocean surface off the Kona Coast, each Body Mist contains over 90 trace minerals, and is high in calcium and magnesium. A few simple spritzs to hair, face and skin instantly hydrates and moisturizes. It comes in 2 ounce sizes and available at HawaiianBodyProducts.com. I packed some of these products in my travel bag along with a few of my everyday beauty essentials. Perhaps these products will make it into your suitcase to kick off Summer 2018! Have you tried any of these products before? Do you have a summer beauty essential product that travels everywhere with you? Share below and Happy Summer 2018! We are one month into 2018 and I have been doing alot of studying as well as adapting more selfcare habits and updating my skincare routine. In the winter when skin tends to get dry and flakey, I take the necessary steps to treat my skin (and hair) with these Must Have Natural ‘New Year, New You’ Bath & Beauty Products from Belli BEAUTY, Desert Harvest and Kneipp! The New Year is all about out with the old and in with new right?! Belli has physician-formulated skin care products like exfoliating scrubs for sweeping away dead skin cells and debris to reveal the fresh new layer beneath. This skincare line focuses on ingredient safety giving expectant and new mothers piece of mind. It’s pure and planet-friendly approach is something we all can benefit from. Did you know that it is important to prep the skin to absorb hydration and nutrients from moisturizers and other treatments? The practice of exfoliating is a necessary step that often gets skipped. Using Belli Fresh Start Pre-Treatment Scrub, an invigorating scrub for face and body, is the key to smooth, healthy skin. It helps prepare skin for the application of other products and the ideal start to any skin care regimen. Made with antioxident-rich green tea and ginseng, and the essential oil of peppermint. I found their micro-scrub formula to be invigorating and gentle. Follow this by applying the Belli Fresh Stretchmark Minimizing Cream as the treatment to decreasing the appearance of existing stretchmarks. No matter the age or cause of your stretchmarks, Belli is offering a premium, at-home solution for diminishing the appearance of stretchmarks and help restore the look of smooth, healthy skin. Key characteristics include ginseng to help even out skin tone and avocado oil to soften and moisturize. I enjoyed its light citrus scent and intend to apply this twice daily for 4 weeks, then once daily as recommended until desired results are achieved. Available for purchase at BelliSkincare.com, buybuyBaby, Ulta, Ulta.com. I recently learned about Desert Harvest, a family owned and operated company based in the state I now call home..North Carolina. Their unique Aloe Vera Gele skin care is a much healthier option than traditional skin care products that include chemicals and additives that can damage your skin making it great to use for the entire family. In addition to the gele, herbal shampoo/shower gel, herbal conditioner and hand & body lotion can be purchased just in time for February 14th. Make it an Aloe Vera Valentine for yourself and show love to your skin! Check out www.desertharvest.com for info. No matter the season, moisturizing bath products are essential. Kneipp aids in leaving your skin feeling soft and supple and offers vegan products to soothe the mind and body by using aromatherapy. From the enchanting scents and blends of nature’s best plants, Kneipp offers a holistic shower/bath experience that I love. I am currently using the Kneipp Evening Primrose Body Wash “Calming” and Kneipp Sandalwopd Fruit & Grapeseed Oil Body Scrub “Beautiful Shape”, which are both gentle and beneficial to healthy skin. For a bath oil, I recommend Kneipp’s Mandarin & Orange Herbal Bath Oil “Stress Free” which uses natural essential oils to help you unwind! But honestly, any of their Body Wash, Body Scrub and Bath Oil products would be a great addition to your bathing routine as they have quite a variety to choose from! As an over 40 yr old mom and wife, I have always cherished the little things in life. I am pleased with these products so far and they have found there way into my #selfcareSunday routine! Let me know below if you have used any of these products before and do you have a selfcare skincare routine? 2. Jill Yoga Girls and Ladies Activewear ~ Thru my #getLovelyfit fitness journey, my daughter and I had the opportunity to collaborate with a company that combines two of our interests: yoga + fashion. Check out our Mommy & Me moves and learn more about JillYoga.com >>here. 3. Whispering Angel Rosé Wine ~Hello, my name is Leslie and I love wine. Not only did I share how to host your own wine tasting at home tips on the blog, but started a #SobeSavvySips series where I share recipes and reviews for not only wine but spirits/beer too. In honor of National Rosé Day, I featured this wine on Instagram. It has been one of my favorite wines to introduce to others. Read wine review >>here. 4. ‘808 Converstion Starters for Couples‘ ~ This book featured on my Instagram and later reviewed on the blog sparked an interest amongst singles that were dating and couples who have been married for awhile. The art of conversation is a dying art with all the texting and ‘sexting’ going on, so I believe this book was refreshing and fun to explore. This book is available to buy >>here. 5. Polished Nail Bar’s Grand Opening ~ I had a blast at this VIP event for media/bloggers here in Raleigh,NC and have since returned to get my nails ready for the holidays. I highly recommend you treat yourself and a loved one to a mani/pedi for Valentine’s Day (which is right around the corner). Read more about Polished Nail Bar >>here. 6. Our Visit to the North Carolina Zoo ~My husband ,daughter and I planned a Sunday Funday to the North Carolina Zoo and shared a recap of the visit. Our daughter, fondly referred to on the blog as #outandaboutAva, loved the experience. I also shared some #SobeSavvyTips on why a visit to the zoo during the Fall season should not be missed! 7. Luxury Family Travel to Atlanta,GA ~ We have enjoyed several family trips to Atlanta because there is so much family fun to be had there. In 2017, we road tripped to the ATL for our daughter’s Spring Break and stayed at the Mandarin Oriental Atlanta. That was a delightful (and relaxing) experience where we enjoyed making many family memories. 8. NC Farm Tour in Asheville,NC ~This mom got a chance to getaway for a few days and joined other food and travel writers on an agritourism trip to Asheville,NC to get a true farm to table experience. We all left with a greater appeciation of our NC Farmers. That was my first visit to Asheville and staying at a bed and breakfast. I gave readers a #soNCsavvy full recap of the trip on the blog and also shared an inside look of the Sweet Biscuit Inn. 9. byKikisol in store Fashion Event with Torrid + Groupon Promo ~if you ever had the pleasure of attending a byKikisol blogger event here in the Triangle, then you know it’s going to be a fun time for creatives, influencers , bloggers and fashionistas. I got my model on in the dressing room at their Torrid Fall Fashion event and shared a Groupon Promo encouraging readers to grab a deal! For 2018, as always I do a detox ( which I have shared online in the past..you can read posts here). However, this year I will take the whole month of January to unplug, reset and prepare to bring you more Lifestyle|Food|Travel|Fun stories on the blog! Thank you for a wonderful 2017..here’s to all the best in 2018! Yesterday, SobeSavvy.com along with other invited guests celebrated the Grand Opening of Polished Nail Bar, Raleigh’s newest premier nail and waxing salon located in downtown’s hip Glenwood South District. The VIP Party gave local bloggers, influencers and media a chance to enjoy complimentary beverages, light bites and a free basic manicure while learning all about Polished Nail Bar and its services! As soon as I walked in the door, I noticed the inviting decor featuring luxury pedicure thrones. I felt that this would be a fun, pampering experience and indeed it was! This is the first location outside of the Charlotte metro area, where they are popular for offering superior customer service, along with speedy service , affordable prices in a top-notch, healthy, clean environment. After picking from a variety of colors from nail polish brands such as OPI and Essie, I settled down at one of the state-of-the art manicure spots around the manicure bar. I was offered a complimentary beverage which I thought was being served to me as a guest of the event but I learned that each Polished location serves complimentary beverages, including wine and beer. I chose a Mimosa to go along with my midday nail treatment. I got a basic manicure which included having my nails /cuticles soaked, cleaned, trimmed, filed, buffed, polished and whatever other magic she did! This express service was quick yet done carefully. I appreciated the tools being used were opened for the first time on me and given to me at the end..sorta like a swag bag to compliment my services. I would definitely recommend a girls day out at Polish Nail Bar. They were fast, efficient, and the flowing mimosas made it fun. Go and enjoy a day of pampering fit for a Queen, King or even your little diva. That’s right they offer services for little girls ten years and younger and Man-E-cures for the men in your life! 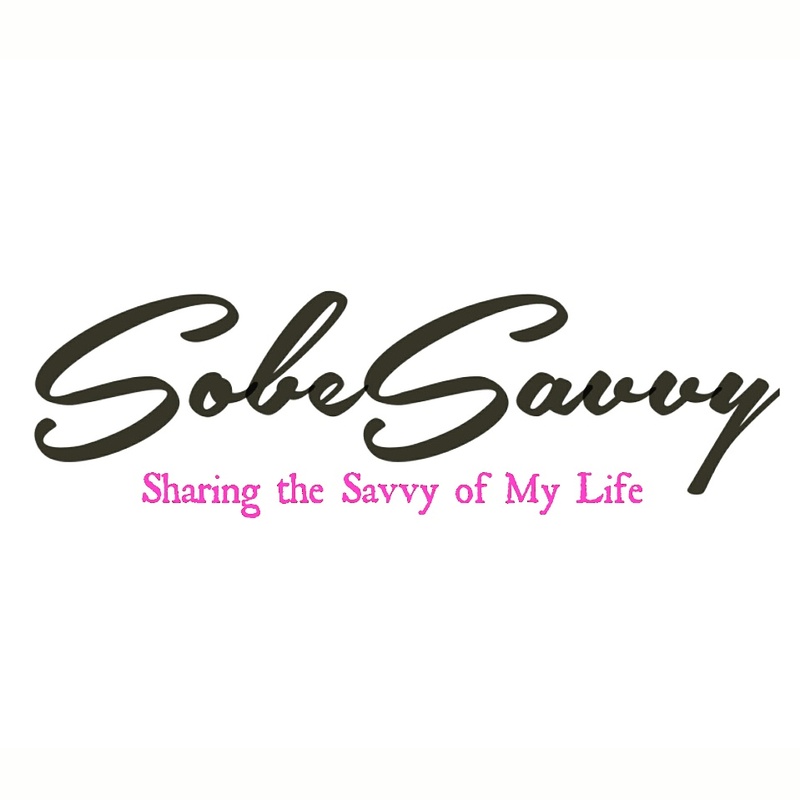 SobeSavvy Tip: Looking for last minute gift ideas? Gift Certificates are available. For a complete list of services, visit ipolished.com. Watch my video photo recap >>>>HERE of Polished Nail Bar in Raleigh Grand Opening Vip party event. Thanks again to JSW Media Group for the invite! On Sunday, I had a date night with Hubby and this Mom got a chance to step out in some heels and get glammed up a bit for a night of fun at the Xscape concert! This female group had alot of hits in the 90’s, so I went for a 2017 version of a grunge look. That night, I got quite a bit of compliments on my lippie of choice and thought I’d share with you how you can get ‘Glam in Grey’ for the holidays with the most beautiful nail and lip colors from Sally Hansen and Rimmel London! This beautiful shadow is silky smooth and has high impact colour for all day wear. The ultra-blendable formula comes in a range of finishes from mattes, shimmers, to high glitter. I hope you are inspired to treat yourself or someone else with these beauty finds so you too can be ‘Glam in Grey’ for the holidays! Thanks for reading! Disclosure: Products were provided for review purposes. Opinions are my own and this post contains affiliate links. If you make a purchase using one of the links in my post, I will receive a commission at no extra cost to you. Did you know October 15 is National Aesthetician Day? Time to shine the spotlight on the skincare professionals who keep us looking our best! I recently found an Aesthetician here in Raleigh, NC and wanted to share all about my wonderful experience with Aesthetics By Aleah! I must say I fell asleep on her warm massage table as I found this treatment to be very relaxing. Aleah loves what she does and it shows in not only the care she provides for skin but the extra relaxation techniques she provides as an add on to your service. For example, I chose lemongrass aromatherapy scents to enhance my treatment. I loved her choice of relaxing spa music and her gentle massage strokes during my back purifier service put my body and mind at ease. We all consider putting our best face forward and often neglect other areas, like our back. She thouroughly cleansed, exfoliated and massaged my back during this unique service. I would tell anyone to treat themselves to this experience! With specialized training and personalized attention, aestheticians bring out the most radiant skin in each of us. Their knowledge and skills often go unrecognized and yet they deliver superior services every day in spas and medical clinics across the country. Addressing the complex needs of their clientele, aestheticians rejuvenate and polish even the most sensitive skin. So I am happy to celebrate with Aesthetics by Aleah on National Aesthetician Day and recognize all the care and attention she gives to her clients. SobeSavvy Tip: Check out these Spa Week specials Aesthetics by Aleah is offering! The skin you want is only an appointment away. Book your service and treat yourself or a loved one today! I have always been low maintenance as far as what I use on my face but the products are always high quality. Kneipp meets my quality standards because their products are plant-based, vegan and free from paraffin, preservatives and silicone oils. The brand has a mission to not only provide effective, innovative and natural products but to teach concepts for health and well-being. With its combination of natural ingredients and lady’s mantle extract, this face mask provides intensive care. It protects the skin from photoaging and free radicals, while smoothing and pampering the skin with long-lasting moisture and a gentle fragrance. This facial treatment leaves your skin feeling supple, vitalized and revived! This facial toner gently refreshes and cares for cleansed skin while removing any mask or cleansing milk. It is best for all skin types and won’t dry the skin because it does not contain alcohol. Well tolerated by sensitive skin, this face cream contains high-quality almond oil, vitamins A and E, rich shea butter and skin-soothing panthenol. This powerful combo of plant-based ingredients makes the skin noticeably smoother and the moisture level of your skin will increase over 24 hours. SobeSavvy Tip: Kneipp has products suitable for the whole family and for your whole body! We especially love their variety of body lotions and blends as they go beyond moisturizing the skin. For example, want a soothing, relaxing moisturizer, get the ‘Lavender’ Body Lotion. Looking to firm and tone your skin while giving it extra nourishment… try “Beautiful Shape’. Take advantage of their 1 year anniversary sale, stock up right now and save $$! You can follow @KneippUSA and help celebrate #KneippBirthdayBash for their 1 year anniversary in the U.S ! Also check out Kneipp.com to learn more, shop online and gift yourself (or someone else) to quality skin care. Get ready to put your best face forward this Fall season with Kneipp! DO YOU CHANGE YOUR SKIN CARE PRODUCTS WITH THE SEASONS? HAVE YOU EVER USED KNEIPP PRODUCTS? This is a sponsored conversation written by me on behalf of Kneipp. The opinions/photos are 100% my own. It was such a festive atmosphere at the Triangle Town Center. They had a little Color Vibe Village with all sorts of run related merchandise and also Yum E Tummie drinks to enjoy. Plenty of water was on hand and bananas to fuel us up for the run. You can also check out #tumeyummies on social media to see fun run pics before and after the race! It was time. We all lined up in waves as the DJ pumped the tunes and WE WERE OFF !! This course basically took us around the entire perimeter of the huge mall parking lot with some turns along the way. While I chose to wear sunglasses (you get free ones with your Color Vibe shirt as part of your registration swag), my husband actually prefers a different kind of eyewear. SobeSavvy Tip: Sport a pair of swimming goggles to make sure the color dust stays clear of eyes and contact lenses! Our little one, aka #outandaboutAva, now age 6, is on her way to becoming a road race veteran. She did a pretty good job setting the pace for us! This is an untimed run and meant to be fun, so walking, jogging, dancing are all welcomed along the course. At some point, she got carried and treated to a piggy-back ride but hey that’s what any Dad would do for his daughter! The color stations were a blast..LITERALLY! Yellow,Blue,Green,Purple,Pink..the powdery color dust comes of easier than you think, so embrace it! Tum-E Yummies also handed out wipes at the end of the race, but it’s best to cover your car seats in towels and/or change your tee if you want to protect your car for the ride home. But really, it was so fun and getting dirty has never been easier. The color powder is biodegradable and washes out pretty easy! This was a well organized event and I would suggest you get out there and do this fun run with your friends/family. The Color Vibe Good Vibes Tour 2017 does a great job at merging fitness and fun, something me and my family enjoy doing together! WATCH video from our fun run with Color Vibe 5K Raleigh Good Vibes Tour 2017>here. Be sure to go to their website >>http://www.thecolorvibe.com/ to see what city this fun run/walk event is coming to next! #Raleigh, Grab Your Tribe & Get Ready to Run the @colorvibe5k on 9/16 + GIVEAWAY for 2 #ColorVibe Tix! Disclaimer: SobeSavvy.com is partnering with The Color Vibe, who is providing 1 lucky reader TWO FREE tickets to participate in the most #VIBErant 5K run! Hey Raleigh! It’s time to lace up your running shoes and get ready to bring your coloful spirit to the Color Vibe 5K, Good Vibes Tour 2017! Me and my #HeighPartyof3 plan to join others for this 5K Fun Run/Walk taking place on 9/16/17. For a limited time (expires soon), you can REGISTER early and get 60 % off tickets NOW. You don’t want to miss out on this fun running event that inspired people to live a more active life! It’s for the entire family. toddler and grandparents are all welcome. Kids 1 to 12 run for FREE ! A portion your registration fee goes toward local charities and non profit organizations. The only competition is who can have the most FUN ! There are no shoe race timing chips or checking your stop watch. This is for FUN FUN FUN. Free Hair coloring ! End the race looking like a rainbow or a purple people eater. You will literally LOL when you look at yourself when it is over. Good Luck and see you at the Color Vibe!